Looking for stylish, statement dress for autumn/winter? 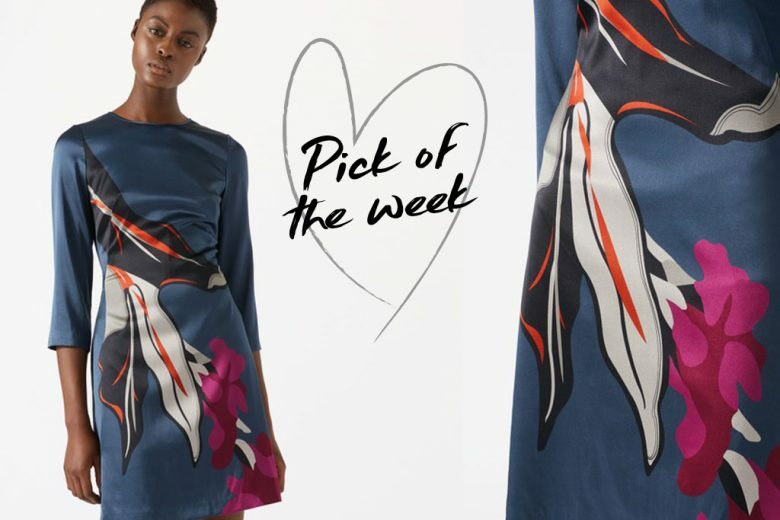 Find out why we’ve fallen in love with Jigsaw’s Nordic-inspired Northern Bloom Iris dress. Salena – a sleeveless midi flare dress. Iris – a mini dress. Constance – a relaxed fit shift dress. Whatever your shape, you’ll find a dress that flatters your figure. My personal favourite is the Iris cut. If you like to show off your pins and accentuate your waist then you’ll love this shorter length dress, with flattering three quarter length sleeves and soft, round, high neckline. The Northern Bloom Iris dress has a striking print inspired by traditional Nordic folk florals and exclusively designed in-house. I’d team it with the Neilson ankle block heel boot, opaque tights and black lightweight silk cotton polo neck jumper for a professional workwear outfit. And, as it’s in a silk mix fabric, I’d wear it solo for an elegant evening look with the on trend kitten heel Olsen Patent Ankle boot. Keep accessories simple as this statement dress does the hard work for you which makes it a new season no brainer!